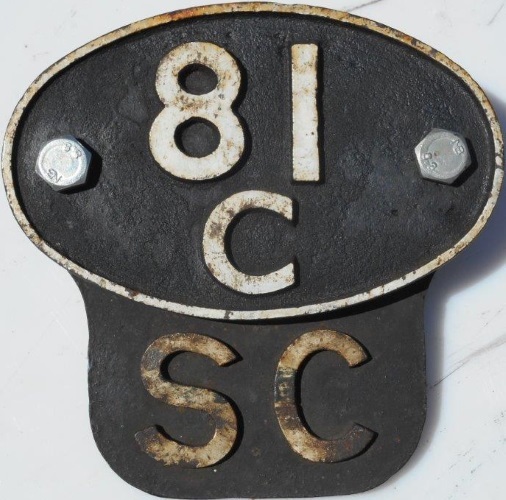 Lot 182 A C/I SHEDPLATE "81C" SOUTHALL. Along with its Self-Cleaning plate. Totally ex-loco.